Give your tree the best possible start in life! 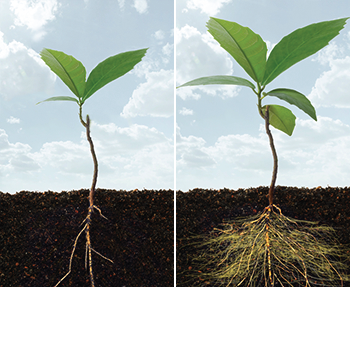 DIEHARD Transplant has mycorrhizal fungi, natural disease protection, rooting stimulants, soil-conditioners and water-retaining Horta-Sorb® gel. Together these products ensure your tree establishes quickly, safely and without stress. Just sprinkle the contents of the package around the root ball as you plant – it’s that easy to get your tree off to a flying start, especially when planting into poor soil and difficult conditions.